Are you crazy for coconut? Good. 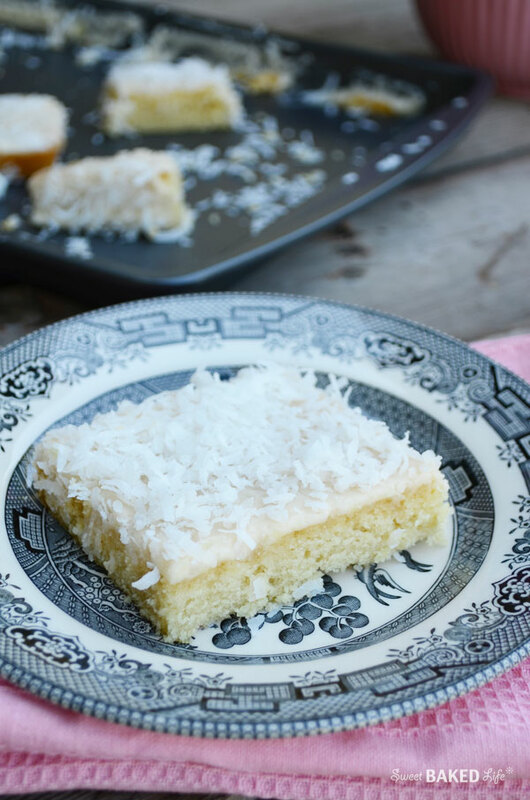 Because this Coconut Sheet Cake is out-of-this-world lip-smacking delicious! It’s a super moist coconut infused white cake topped with velvety vanilla frosting and sprinkled generously with flaked coconut! Now I am not a huge fan of coconut, I like it ok, but it would not be my first choice in a dessert or sweet treat. But my family loves the stuff. Especially my hubby. I was originally going to make this for Father’s Day, but for some reason my guy was on a “no-sweets” kick. Can you imagine that? Hard to do in this house!!! 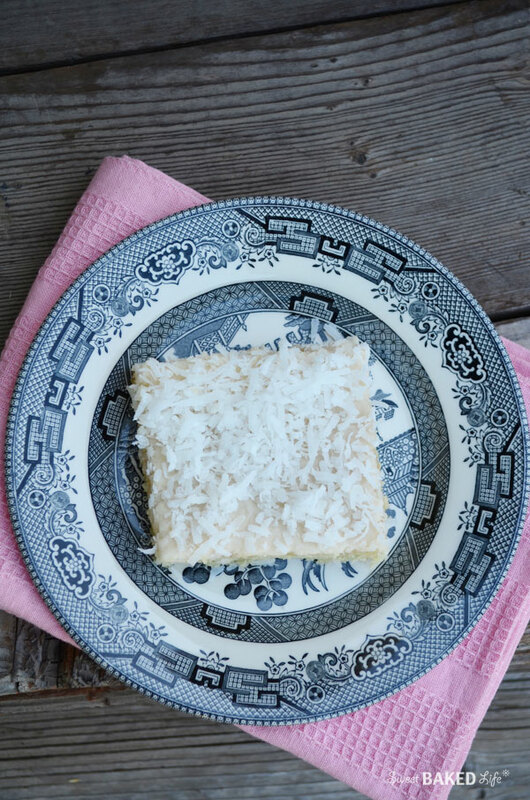 Anyway, a couple of weeks ago I decided to bring a dessert for a family gathering — and this Coconut Sheet Cake was on the top of my list to make. And so I did. You see, ever since I got my sheet pan, I have been obsessed with making sheet cakes — they are so darn good and easy to make too! And the best thing is, you can change up the ingredients to create your own signature flavor masterpiece. As many of you may know, my hubby is super picky about what he likes to eat and what he considers as “good”. Well, let’s just say this cake was a huge hit! He actually told me that he loved this cake! Wow, now that was a surprise! And I know it was true as he proceeded to eat the remaining cake I brought home! Turns out his family loves coconut too and they raved about this confectionary! Even I thought it was pretty darn good! All this coconut love going on made me very happy! Heat your oven to 350 degrees. Spray an 18 x 13-inch sheet pan (or jelly roll pan) with non-stick cooking spray and set aside. In a large bowl, stir the flour, sugar, baking soda and salt. In a separate bowl, add the eggs, coconut milk and vanilla extract and beat with a whisk until combined. In a medium saucepan bring the water and butter to a boil over medium heat until the butter is fully melted. Remove from heat and slowly pour butter mixture into the flour mixture and stir until combined. Add the egg mixture and stir until smooth. Pour into the prepared pan and bake for 20 minutes, or until a toothpick comes out clean. While the cake is cooling, make the frosting. Over medium-low heat add the butter to a saucepan to melt. Remove from heat and whisk in the confectioners sugar and vanilla extract. Immediately pour over the cake and spread with an offset knife or spatula. Sprinkle evenly with the flaked coconut. Let cool completely before cutting into nice large pieces. If you have any cake remaining, cover with plastic wrap. 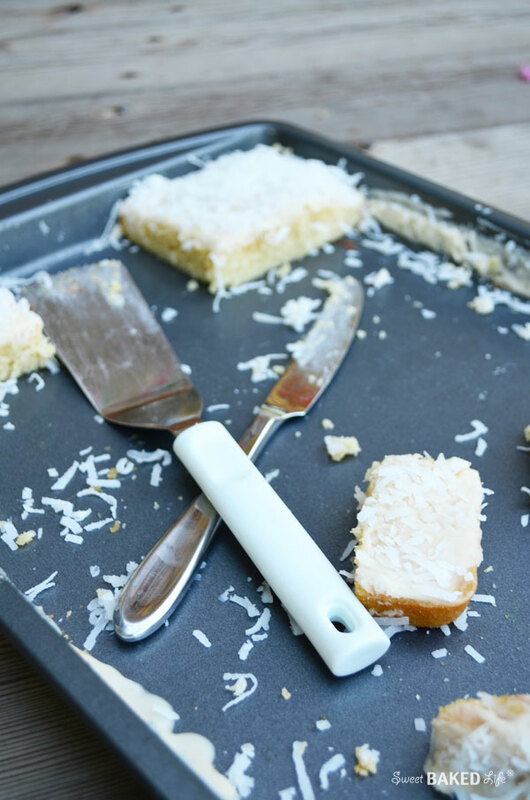 Yep, this is what it looked like after we devoured the incredible Coconut Sheet Cake! I will defiantly be making this signature treat again as well as trying out some new flavor combinations to entice my friends and family! 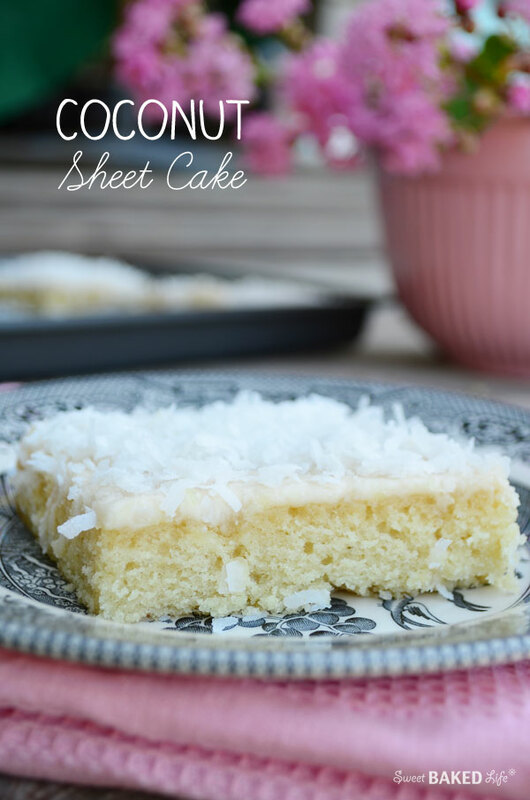 I love sheet cakes, and this coconut sheet cake looks so good!